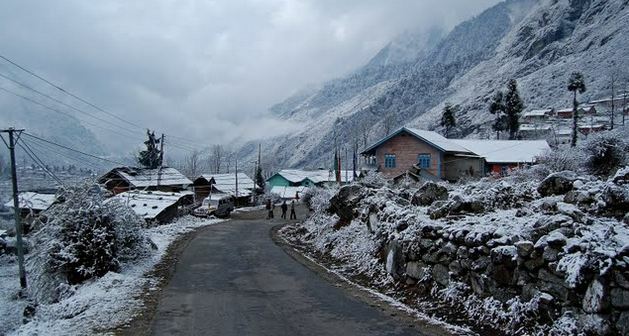 Lachen is a town in North Sikkim district in the Indian state of Sikkim. 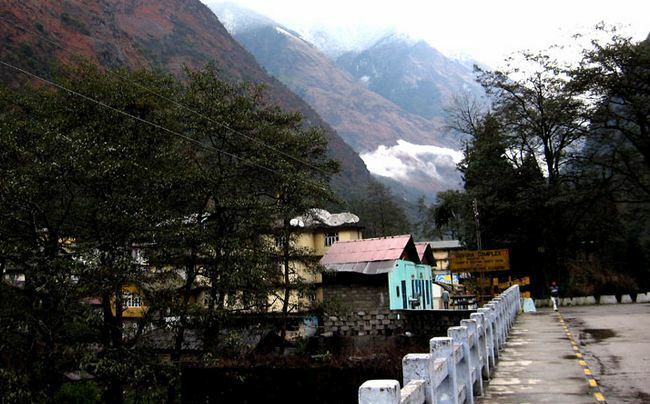 It is located at an elevation of 2,750 metres. The name Lachen means "big pass". 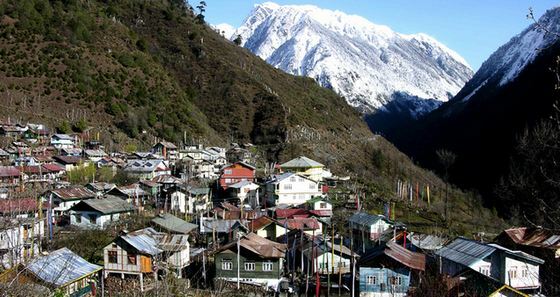 The town is being promoted as a tourist destination by the Sikkimese government. 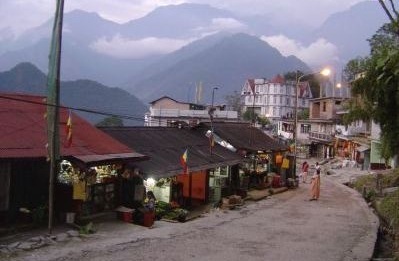 The town forms the base to the Chopta Valley and Gurudongmar Lake. An annual yak race, the Thangu is held here in summer. It has a population of around 1,000. 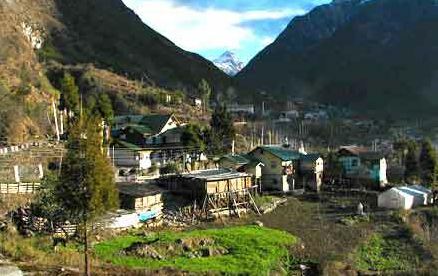 Lachen has its own system of rules and regulations known as Dzumsa. The heads of the Dzumsa are known as Pipon and Gyenbos. 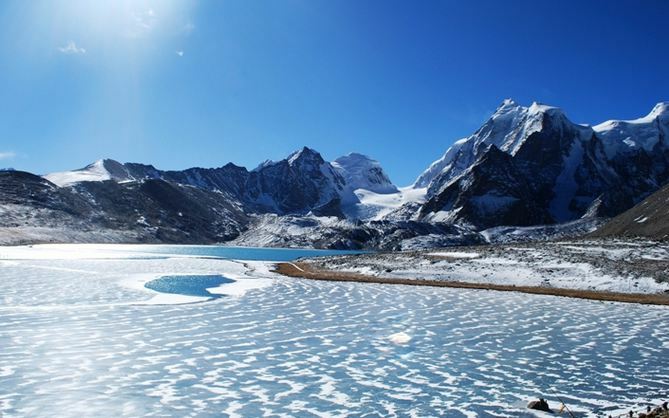 The high altitude lake which remains frozen during winter months is located in the region of northern Sikkim, in the district of North Sikkim. 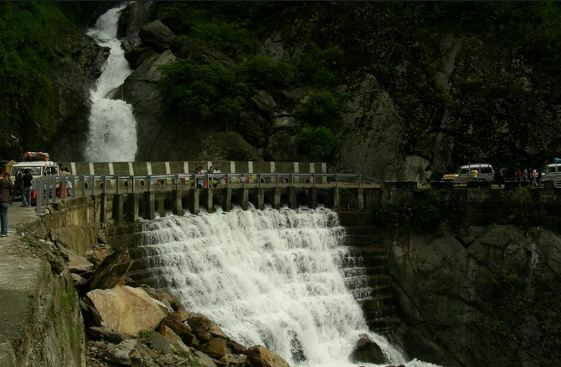 It is about 5 kilometres (3.1 mi) to the south of the Chinese border. 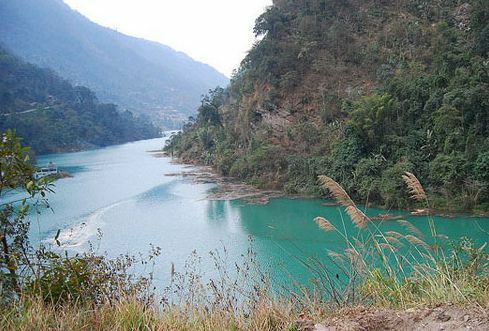 The lake can be reached by road from Lachen via Thangu. 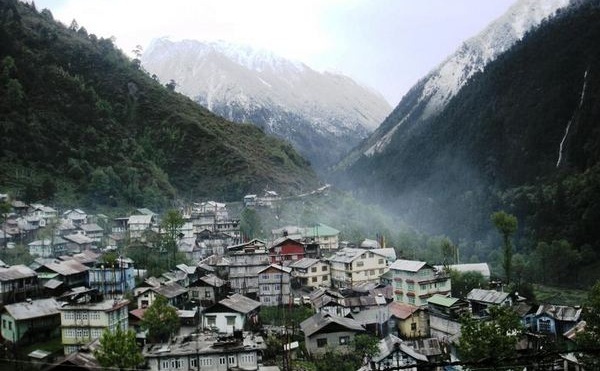 It is 190 kilometres (120 mi) away from Gangtok, the capital city of Sikkim. 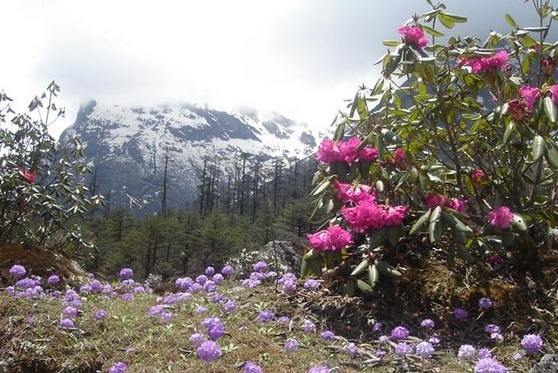 The approach road from Thangu to Gurudongmar passes through a rugged and enchanting terrain with "stony moraine", which has high alpine pastures covered with many rhododendron trees. While Indian toruists are allowed to visit the lake, foreigners need to get a special permit from the Ministry of Home Affairs in Delhi. 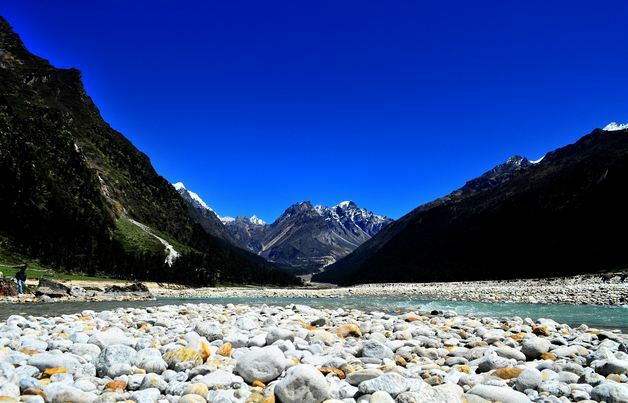 A legend related to the frozen condition of the lake is linked to the visit of Guru Padmasambhava to the lake, on his way back from Tibet. When he saw the lake he felt that the lake was worthy of veneration as it represented the divine location of Dorje Nyima or Chhoedten Nyima. 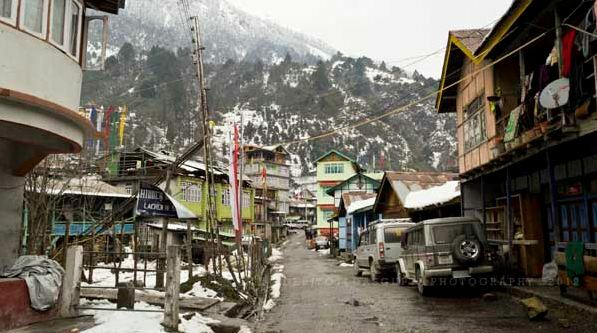 As the lake remained frozen most of the year with no possibility of providing for drinking water needs, the people of the area appealed to Padmasambhva to help them. Then the guru agreed to help them and placed his hands on a small part of the lake area which stopped freezing during winter thus facilitating the source of drinking water to the people. Since then the lake has been considered sacred and devotees carry this sacred water in containers. 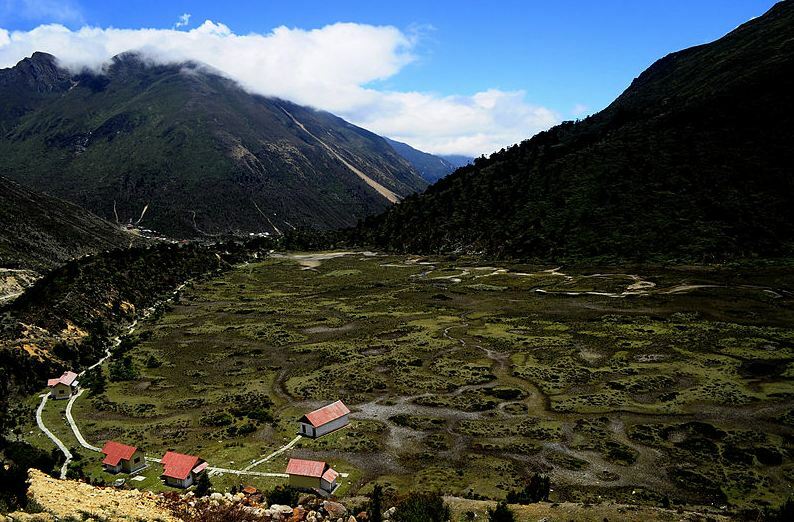 According to another legend when Padmasambhava visited the lake he saw an auspicious phenomenon in the lake and then he considered it a good augury to enter the mainland of Sikkim, then known as Demojong. It is now said that the lake grants a boon to any pregnant woman offering prayers at the lake.